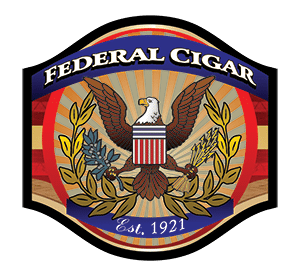 Federal Cigar presents an exclusive tasting featuring a wide array of ports, including 10, 20, 30, and 40 year-aged ports. 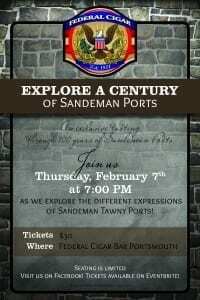 Our friends from Southern Glazer’s Wine & Spirits will be here to talk all the finer points of Sandeman Porto, but seating is limited, so get your tickets now! Due to popular demand, we’re adding a second session! Same day, from 9pm-11pm. The 1st session sold out, so be sure to get your tickets!